An almond crumble topped choux base filled with pecan praline covered in vanilla chantilly and pieces of caramelised pecan, topped with pecan cremeux. Decorated with milk chocolate and a light dusting of snow sugar. Some things are just meant to go together and adding sweetness to the satisfying rich mouthfeel of pecans, is surely one of them. 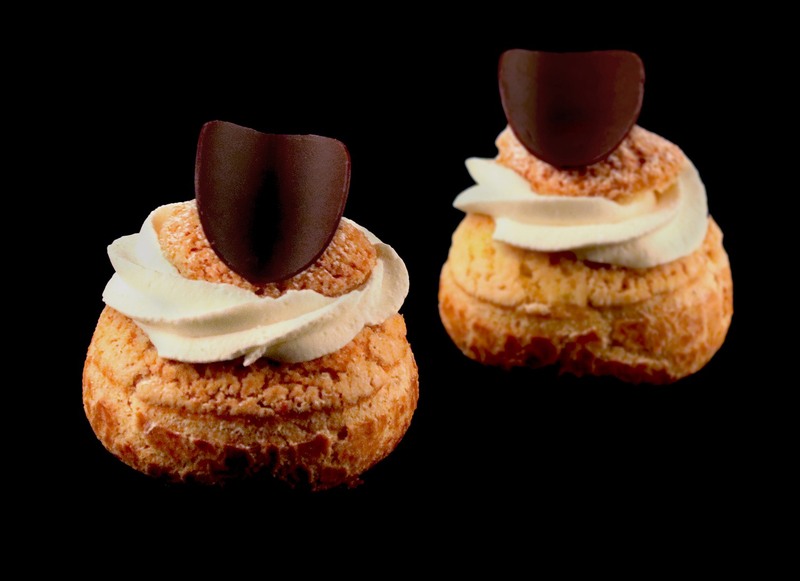 That said, the story of our choux pecan doesn’t stop there. Add Chantilly cream, with its love triangle of sweetness, real vanilla bean and fresh cream and you have gone to a whole new level.